SoftPlanet makes it possible for everyone to get free Minecraft download directly from our servers. There is no registration needed for downloading. Before we tried Minecraft we thought that there's no way for a game built around the concept of blocks to be interesting. We were very wrong. Although it may not feel right, after you download Minecraft, if you give it a chance the game will grab you without giving you a chance to save yourself from the addiction. You have the chance to try the game for free if you download this installer and it will give you access to 100 minutes of gameplay on a server with some limited options. If you like the game you can buy it from developer Notch Development AB for EUR 19.95. 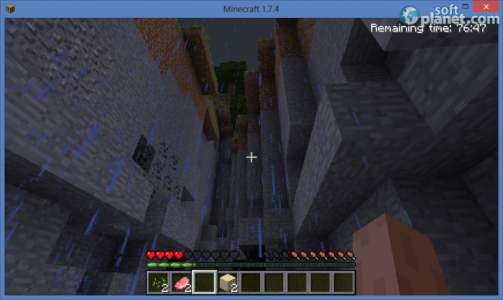 The main concept of the gameplay of Minecraft is blocks, lots and lots of blocks. The whole world is build with blocks, your character looks like one build with blocks, and also the enemies and the animals in the game look like blocks. It may take a while to get used to this, but after you do you will grasp the unlimited potential of this game. 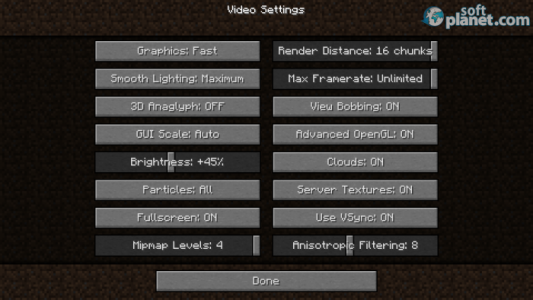 First, there are different servers that offer different playing modes. There you can build structures with your friends or find for dominance, but not in the usual shoot to kill mode. If you like you can explore the wilderness and fight monsters that usually appear in the night. If you get tired of the service you can search caves or you can even dip yourself into the ocean or in lakes and rivers. To better your chances against the monsters you can also craft different weapons and even armor that will protect you from their attacks. Even though the game is made out of blocks you can still create breathtaking buildings or you can enjoy things like the rising sun above the ocean. The blocks have a large variety of colors and you can dig them and store them in your inventory for further use. You have to wander sometime in order to find the right blocks for your idea, but the large number of servers gives you a large choice. When you add to this the open world nature of the game you can guess by yourself that there are almost no limitations, besides your imagination. The blocks world may look dull, compared to the graphics of some modern games, but the freedom that it gives is awesome. The only thing that we didn't like in the game was the sound. Probably because we tried this Demo version, but the only sound that was there was from digging, building, from the monster and animals and there was no music at all. Usually we are used to music as background, but this lacks in this version. Probably, if you buy the full edition you will have music as your background. There's obviously a lot that you can find behind the simplicity of Minecraft. Every building block may need to be gathered, but after some tedious work, you can build whatever your imagination desires. The possibilities are really limitless and we understand why so many people play this game and it has even become an inseparable part of the culture. And if you want to be a part of this subculture that provides freedom and unlimited possibilities, download the game and you will have it all, and more. The only thing which you have to get used to is the … blocks. 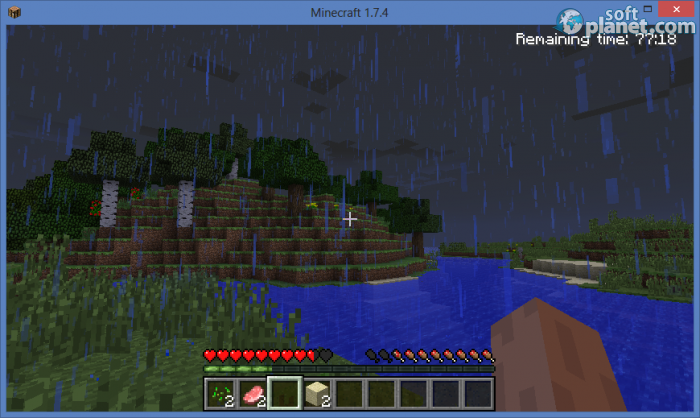 Our security scan shows that Minecraft is clean from viruses. 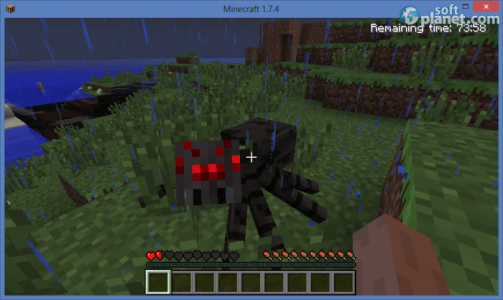 The current version of Minecraft has been scanned by our system, which contains 46 different anti-virus algorithms. 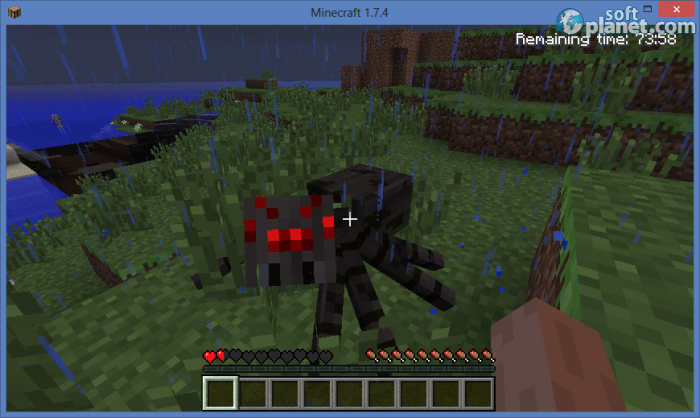 That ensures that Minecraft 1.7.4 is 100% safe for your computer.